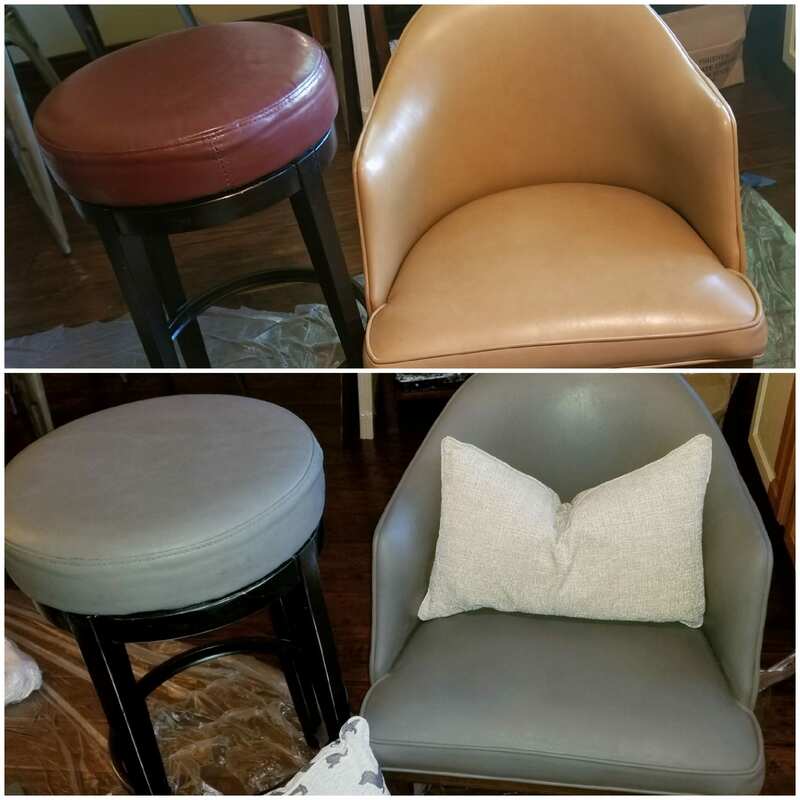 The best leather color stain! Slate has been seen in our projects, but their are many colors to pick from. Restore or refinish vinyl and leather with this easy to use DIY product. Click here to buy. At Restyle Junkie, we talk a LOT about General Finishes products and how to use them! As we’ve outgrown our physical space, we’ve collaborated with PrimeTools to deliver straight to your door with fast & free shipping and great packaging. Click here to check them out. Ready to learn how to paint kitchen cabinets, refinish furniture and refresh your entire living space? 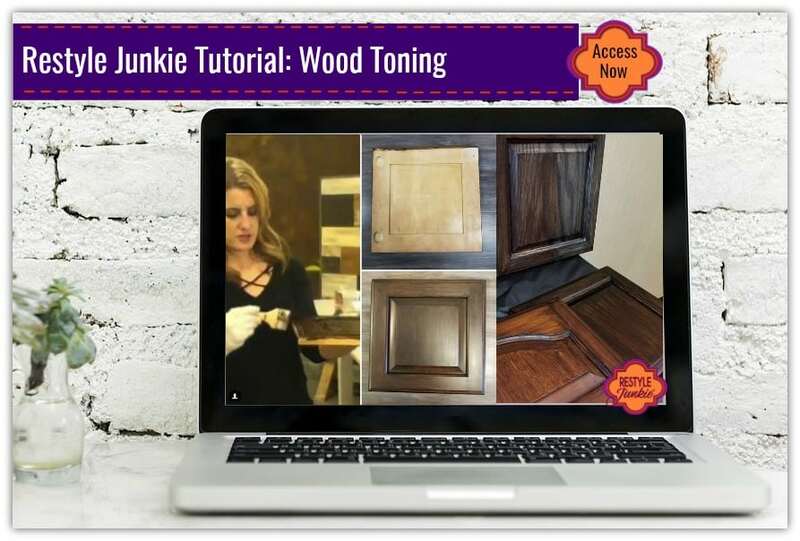 Join Restyle Junkie owner and refinishing authority Rachel Elise Trimble for video tutorials on do-it-yourself painting. 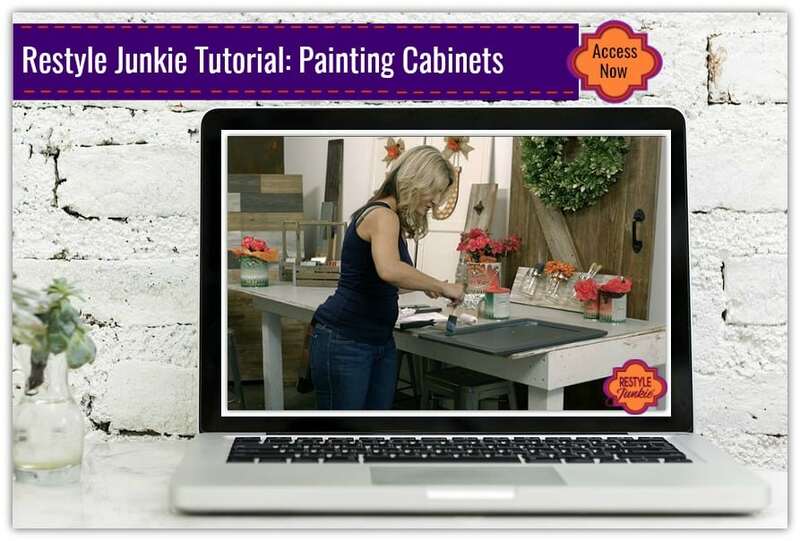 These videos show you, step-by-step, exactly how Rachel & her team refinish cabinets. You get to see the entire process, including a complete supplies list, to achieve a professional, durable finish. Designed with the DIY Restyle Junkie in mind. Protect your clothes with the apron & hat, keep track of your project and ideas with the journal, keep all your DIY toys close at hand with our totes, and keep hydrated with our Mugs, Glasses & Flasks (for the especially pesky jobs! ).